A 37 year-old lady with a three month history of pain in the right upper quadrant was referred by her GP for an abdominal ultrasound. She also had a long history of pelvic pain. Ultrasound images are shown in Figs 1, 2 and 3. Sagittal view of the liver. The site of pain (arrows) was indicated by the patient. Cineclip of the area indicated in Fig 1 using a high frequency probe with power Doppler. 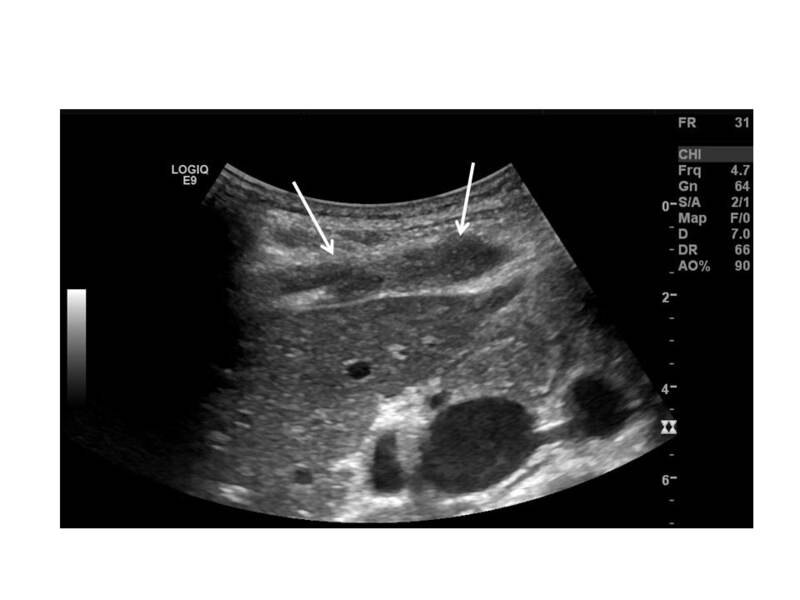 Ultrasound of the left ovary (arrow). What is the most likely diagnosis and differential diagnoses?